In this chilling novel about a 1950s boys' summer camp gone awry, the former New York Times literary critic has created a brilliant coming-of-age story with undertones reminiscent of Lord of the Flies. Christopher Lehmann-Haupt's novel is at once a fantasy, a barbed portrait of boyhood in the dawning of the Eisenhower era, and a no-holds-barred story of terror of the sort that won him praise for his previous novel, A Crooked Man. Jerry Muller has been a regular at Camp Seneca for years. Now that he's a teenager and counselor, things don't seem quite right at his traditional summer haunt. As Jerry plunges into the mysteries around him, he finds himself growing up fast -- maybe too fast. He's attracted to T.J., a pretty girl who might have a boyfriend but who flirts anyway, and he's shocked by the truth about his friend Oz, who's more interested in Jerry than in the likes of T.J. He sees something is strangely amiss with the husband and wife who own the camp. But above all, he's scared of the cruel game masterminded by Buck. Of Seneca ancestry, Buck is a sinister, bigger-than-life expert on Indian lore. He is also an organizer of scary games who may just possibly be a psychopath and a killer, and in whose hands the camp's make-believe, designed to scare the kids, becomes first a savage and brutal test of strength, then, by small steps, genuinely dangerous. As Jerry unravels the mysteries surrounding the ordinary-looking camp, he struggles to understand how "the Forbidden Woods," which have always been off-limits to campers as a kind of game and dare, have somehow become genuinely frightening -- all the more reason to discover the secrets that lie behind Camp Seneca's facade. The story reaches its climax in a shocking scene that neither Jerry nor the reader is likely to forget. Christopher Lehmann-Haupt's new novel is a wicked, suspenseful, and deeply original tale. How does the author set the stage, right from the opening pages of The Mad Cook of Pymatuning, for the shocking events that will take place? Discuss what it is about Camp Seneca that has always made the place seem so special to Jerry. What role have Win and Chief Wahoo played in Jerry’s emotional life, and how do you think Chief Wahoo’s absence and Win’s delayed arrival have contributed to Jerry’s unease? “Looking back nearly a lifetime later, I realize now that I had an instant foreboding of how truly horrific that summer of 1952 would be,” Jerry explains to the reader. Discuss how the added perspective of hindsight adds to or detracts from your reading experience? Talk about Woody’s penchant for surprising his campers with challenging and scary twists on routine activities. Do you agree or disagree with his conviction that most children grow from such challenges and emerge better equipped to face real life? If so, why? Discuss how it might feel to send a child of yours to such a camp. Viewing the first night’s staged campfire horror show through his frightened nine-year-old half-brother’s eyes, Jerry sees the “joke” as more sadistic than funny. “If you’re weaklings, life will break you anyway in the long run,” Woody insists. If parents of the campers knew about the sink-or-swim approach, designed to test each youngster’s mettle, do you think they would approve or object? Explain if you think fathers would likely have a different view than mothers, or if it would matter if their child was a boy or a girl. 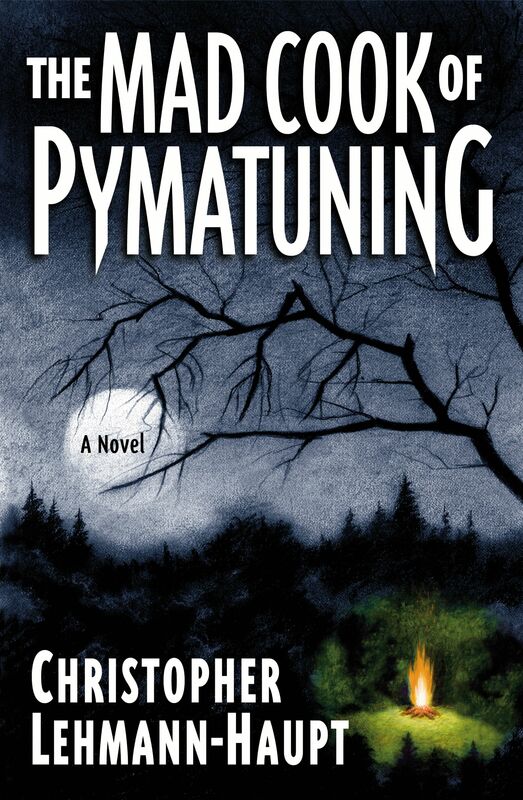 In addition to being a tale of terror, The Mad Cook of Pymatuning is a provocative coming-of-age story about a seventeen-year-old narrator poised on the threshold of adulthood. What conflicting emotions must Jerry confront over the course of the summer—and how does dealing with them help him to grow up? In what way does his troubled relationship with his divorced parents affect his relationship with his nine-year-old half brother, Peter? Discuss Jerry’s relationship with his stepmother. Both Jerry and Karla remember the wrestling incident from two years ago that provoked his father’s fury and caused them to come to blows as something completely innocent, but was it? In her letters, Karla writes: “Are there any pretty girls for you? Please don’t let them steal your heart away from me!” Are these merely the extravagant words of a demonstrative woman whose English is not her first language, or is Karla, either consciously or unconsciously, being flirtatious with her stepson? Discuss your opinions of Jerry’s father. He appears cruelly indifferent to his own son, but we only get to see him through Jerry and Karla’s eyes. In what way do you think the relationship between Jerry and his father has been affected by his dad’s remarriage? Do you think the author is merely painting a picture of one distant and unloving father, or do you think Jerry’s father’s estrangement from his first son is meant to represent one of the casualties of divorce? Why do you think Woody has replaced Chief Wahoo with Buck Silverstone? Why does Woody think Buck “is going to make Seneca’s Indian program richer than it’s ever been before”? What did you learn about American Indian customs and history in The Mad Cook of Pymatuning? How did the Native American lore in the novel enrich your reading experience? This campfire horror yarn/coming-of-age story has been compared with William Golding’s Lord of the Flies—only here it is the adults not the youths who run amok. Discuss what other novels or movies come to mind when reading The Mad Cook of Pymatuning. In what ways are they similar—or different? If you were called upon to cast a movie version of The Mad Cook of Pymatuning, who would you choose to play Buck? Why? How would you cast some of the other characters in the novel—such as Jerry, Woody, T.J., and Mac? Talk about your choice of a director for the film. Look up camp ghost stories on the web and stage your own backyard camping adventure! Make up your own horror yarn, or in your spookiest voice read aloud one of the chilling tales that can be found at http://www.scaryplace.com/GhostStories.html or http://jamesgang.com/campfire/html/storyucc11.html. Invite your own or neighborhood children and serve up the ghoulish tales with some toasted marshmallows. One of the bonus pleasures of The Mad Cook of Pymatuning is the information scattered throughout about Native American lore and legend. For instance, we learn from Jeff that the picture we get of Hiawatha in the Longfellow poem The Song of Hiawatha is highly sentimentalized. Learn more about the real Hiawatha by going to http://users.multipro.com/whitedove/encyclopedia/hiawatha-flourished-c-1570.html and http://college.hmco.com/history/readerscomp/naind/html/na_015000_hiawatha.htm. Print out the descriptions of Hiawatha found there and distribute copies to each member. 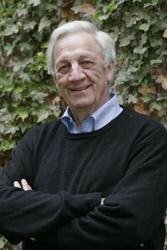 Christopher Lehmann-Haupt is the author of the novel A Crooked Man and Me and DiMaggio, a baseball memoir. Formerly senior daily book reviewer for The New York Times, he lives with his wife, the writer Natalie Robins, in the Riverdale section of the Bronx, New York.